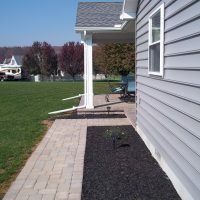 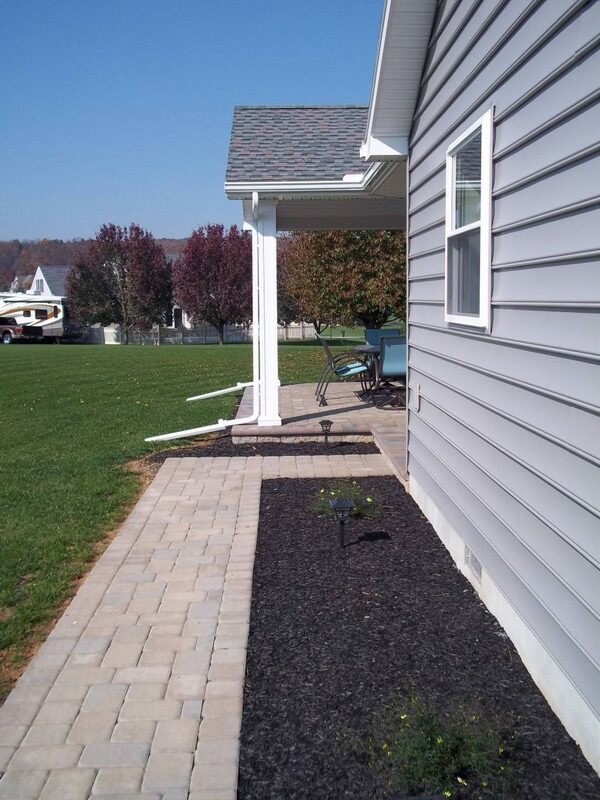 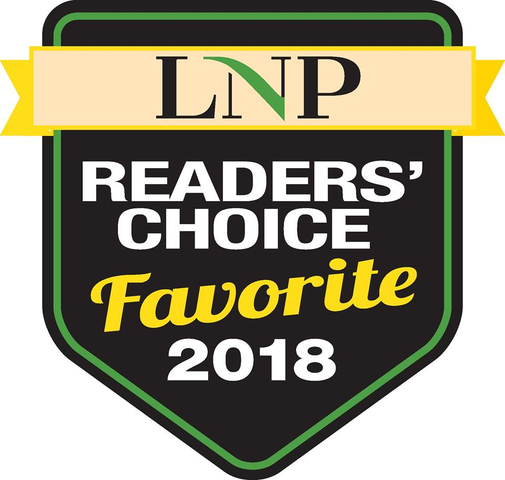 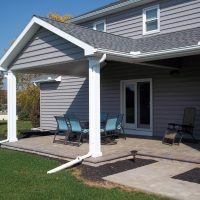 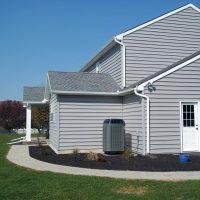 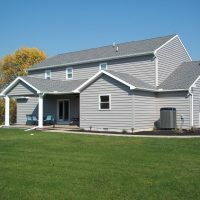 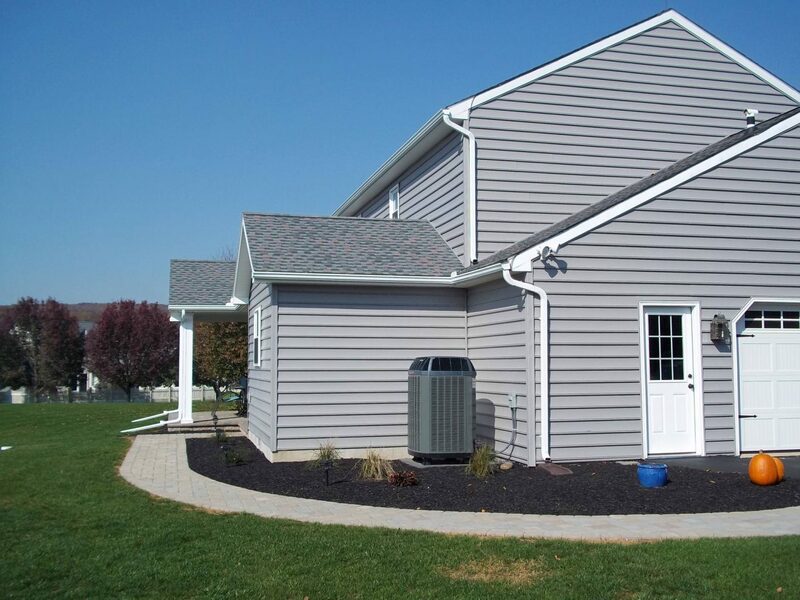 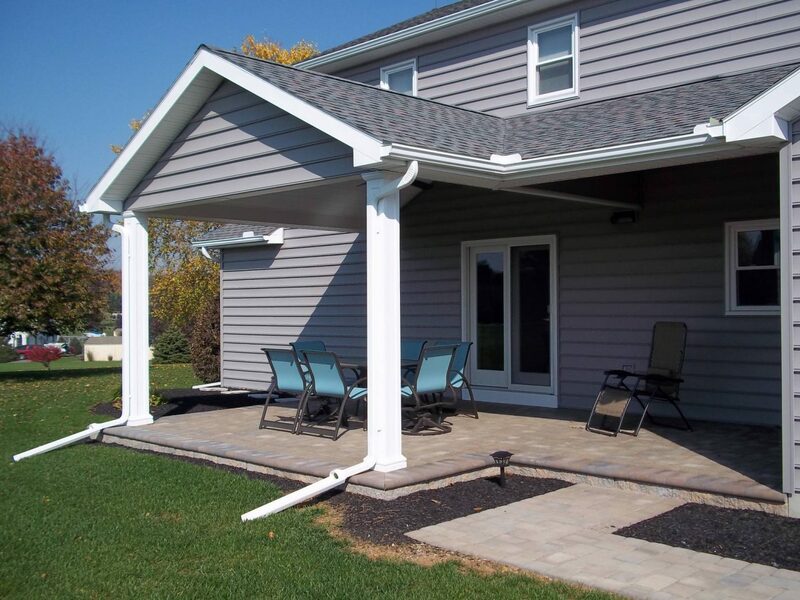 This beautiful home addition created a spacious backyard patio that is perfect for the setting of this home. 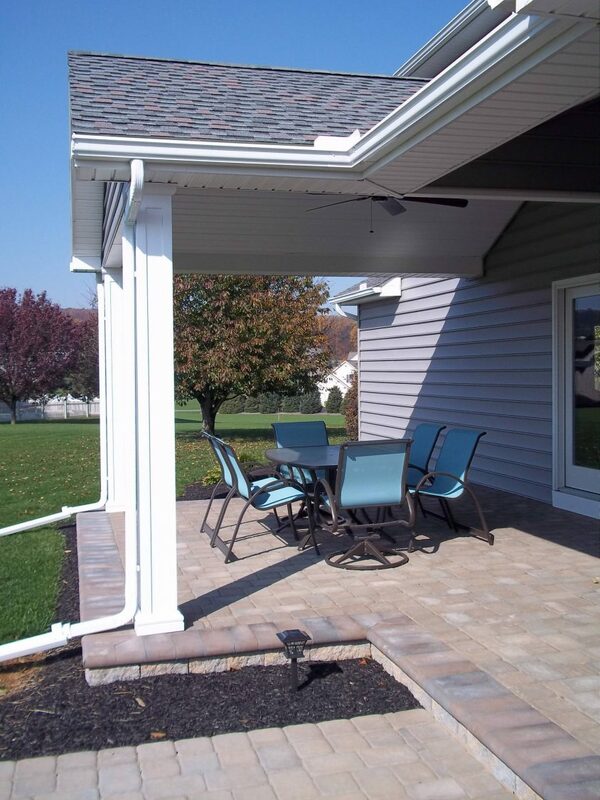 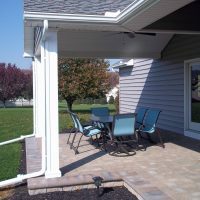 The roof overhang gives a nice shaded area for the patio table while keeping everything open and spacious. 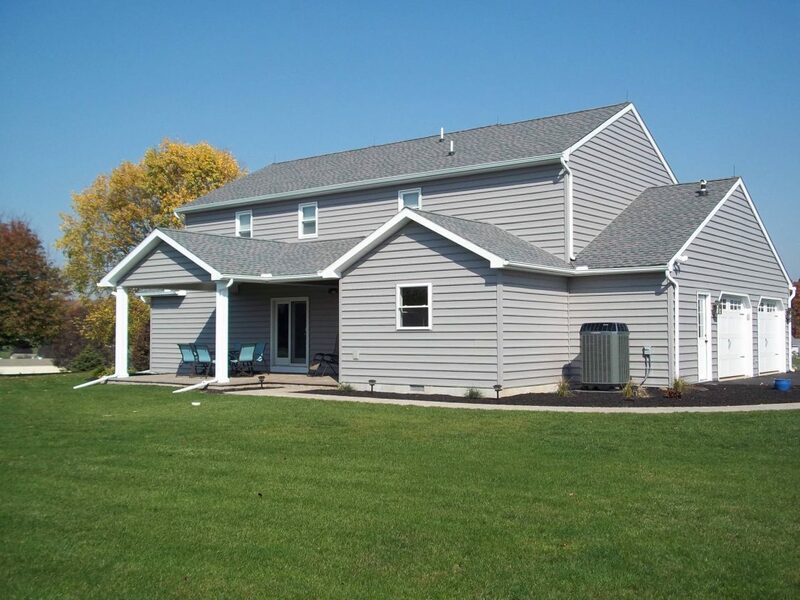 The soft gray siding along with crisp white trim makes this home the perfect combination of traditional yet fresh and modern looking.